Stafford, founding director of the Northwest Writing Institute at Lewis and Clark College, has been teaching writing since 1979. Governor Kate Brown named him Poet Laureate in May 2018 for a two-year term. He travels the state to meet with students, teachers, writers and readers to help with academic literacy through language, and emotional literacy through poetry. By sharing the power of poetry, he helps communities become more curious about their own stories. Happy days were spent at the family cabin on the edge of Indian Ford Meadow, and memories of those years will lace the evening with a weave of creative reflection, bringing to life those memories. Stafford’s sister, Kit, lives in Sisters and taught art in the Sisters School District. 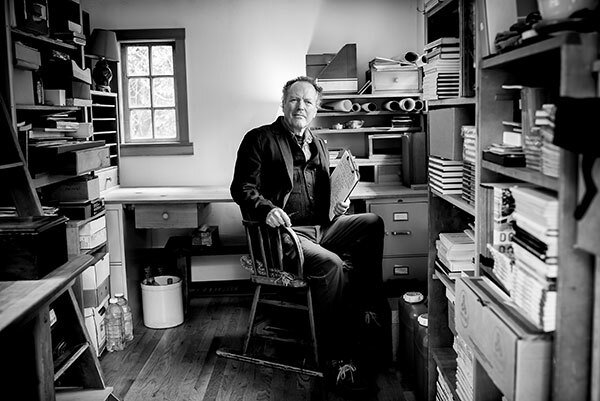 Kit and Kim’s father, William, also taught at Lewis and Clark College and also served as Oregon’s Poet Laureate. Kit recalls trips in the family station wagon searching for arrowheads around Central Oregon. Her dad was expert at finding them when no one else could. Stafford is the author of a dozen books of poetry and prose, including “The Muses Among Us: Eloquent Listening and Other Pleasures of the Writer’s Craft” and “A Thousand Friends of Rain: New and Selected Poems.” His most recent books are “100 Tricks Every Boy Can Do: How My Brother Disappeared,” and “Wind on the Waves: Stories from the Oregon Coast.” In 2016, the 30th-anniversary edition of his collections of essays, “Having Everything Right,” came out from Pharos Editions. He has taught writing in dozens of schools and community centers, and in Scotland, Italy, and Bhutan. Besides the Tuesday-evening Confluence, Stafford will visit Judy Fuentes’ 7/8 art class at Sisters Middle School, Samra Spear’s IEE class, and creative writing class at Sisters High School, several of the Mandarin Chinese classes at the high school and will meet at Sisters Middle School with all fifth-graders. He will be conducting a writer’s workshop Monday evening. The evening Confluence event is free of charge; donations are welcome.